International business increasingly focuses on the Czech Republic. This is natural. The Czech Republic is one of the best locations without language barriers but with favorable legal environment and good economic context. As the Czech Republic is the EU member state, meaning that products and services of the new companies will be available not only in the country but in the EU at large. Besides, another option for many expats is acquisition of existing successful business. 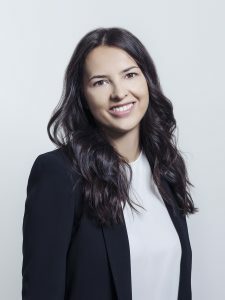 Ekaterina Sokolova, country manager of FChain in the Czech Republic (Prague) will describe differences and nuances to keep in mind. Why is the Czech Republic considered one of the easiest and simplest options for business migration to Europe? Anyone can open a business in the Czech Republic even without residence status which is a good opportunity for non-EU countries citizens. What incorporation documents are needed? A certificate that confirms lack of criminal records (issued three months ago at the earliest), power of attorney certified by a notary and copy of a passport. Why should the name of the new company be written in four different versions in the Latin alphabet? It is done to avoid overlapping with existing company names and automatically register the next available name. What government agency supervises the process? What factors influence registration cost of a new company in the Czech Republic? Is there a possibility for urgent registration? By law, all submitted documents have to be reviewed within 7-14 days. It all depends on the registration process at the Commercial Court. How are reports submitted and payments made to the tax and supervisory authorities, when the company is officially registered but not yet operational? After registration at the Commercial Court, the firm should be registered at the tax authority. If the company has staff (director), it should also be registered at the social protection agency and insurance (healthcare) institutions. Is it possible to register a company without participation of its owner? What is needed? Yes, of course. It is done through the notary-certified power of attorney which has to be translated into the Czech language. When are companies exempted from income tax? What is potential benefit for using the column “business development” and the term “company losses”? The tax is not incurred, when the company expenses prevail over its income. Potential benefit of such operating at loss is exemption from taxes. On the other hand, it may cause problems with the next visa application. If reporting process and tax payments are done annually, should SMEs keep a full time accountant? SMEs owners do reporting once a year but they have to know the current legislation well and provide accurate and complete information. If a medium size company has over 1 mln. CZK of annual turnover, it has to pay VAT and do monthly reporting plus annual report. In this case a knowledgeable and diligent professional staff is indispensable. Why is it better to hire local professional staff? They know reporting process better and are aware of legitimate options for paying lower VAT amount. On the other hand, outsourcing of accounting and legal reporting process facilitates submission of all reports to the tax authority. What kind of business activities requires a license? The current legislation provides a clear list of business activities that do not need a license. Other businesses need it. And each of them may have specific requirements, therefore, the case by case approach is necessary. What are specific details of acquisition of property for the company? Is it possible to return the VAT payments? If the company pays VAT, it can be paid back from the state budget. Where, who and when issues the residence permit? What are benefits of getting «Povoleni k dlouhodobemu pobytu» plastic card? Police unit that deals with expats issues the residence permit. They provide different options in case of: employment contract, business visa application or unification with family members. «Povoleni k dlouhodobemu pobytu» card enables the foreign businessmen to work in the Czech Republic, even if they are residents of any other EU member state. It is advisable to consult experts for visa application. What are the most popular and profitable business activities in the Czech Republic? They are mainly tourism business, real estate rental, sale of new goods and services. Is it true that local people are cautious about new brands? I would not say so because Czechs are always open to something new but sometimes are not willing to pay the offered price. What kind of new products (startup) is supposed to pass this sort of consumer confidence test and become popular? How important is service quality for customers? The product does not have to be expensive but it should have a quality. Customers prefer to come back to places where they receive good service, therefore, the service quality always pays back. It is relevant to use coupons or offer discount campaigns to get more customers. Locals are addicted to this kind of things and use every chance to save money. How good are the chances to acquire an established and operational business in the Czech Republic? What are the factors behind such opportunity? The chances are good but all details should be thoroughly checked before making a deal. The main point is to check the company status at the tax authority. A company may be opened with just 1CZK of start-up capital. What is the timing and financial cost of registration of an individual entrepreneur? That’s right. It takes couple weeks. Before collecting documents, it is advisable to decide on the business activity type and find out whether or not the license is required. The office space owner’s consent may be required for provision of the individual businessman with the specified legal address. The registration certificate for the individual businessman is issued within a week after completion of the procedure. Are there any nuances in closure of a legal entity? What kind of professional assistance can be needed? The procedure is quite lengthy, as the case is reviewed by the commercial court. A qualified lawyer in this field is necessary, especially, if there are any arrears or pending credit agreements.